Curved bars offer a better beam pattern and more closely match the roofline of most vehicles. 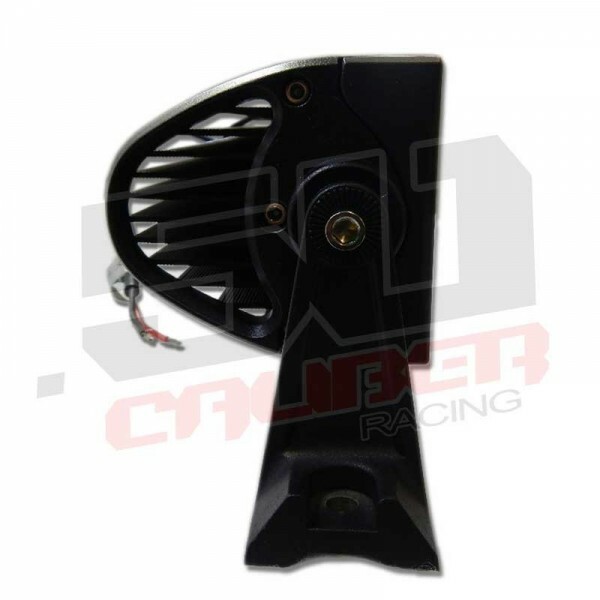 Featuring 3 watt Cree bulbs and an IP68 waterproof housing for maximum performance and durability. 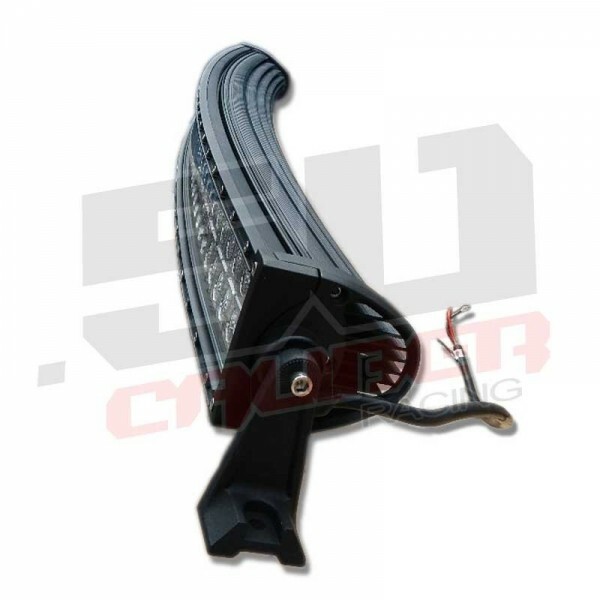 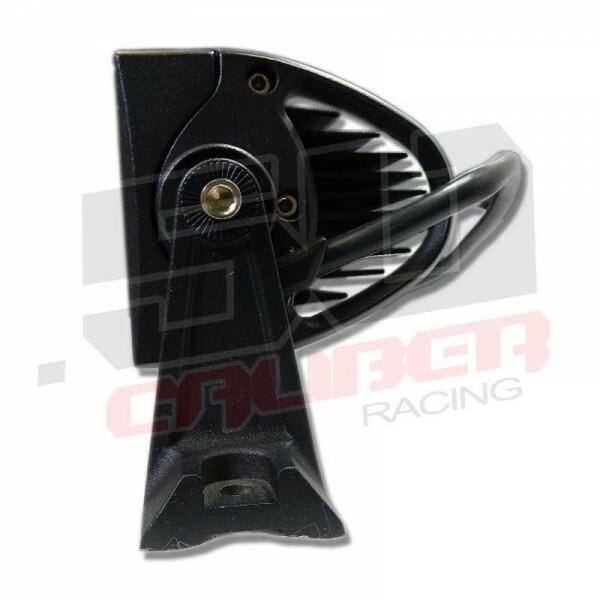 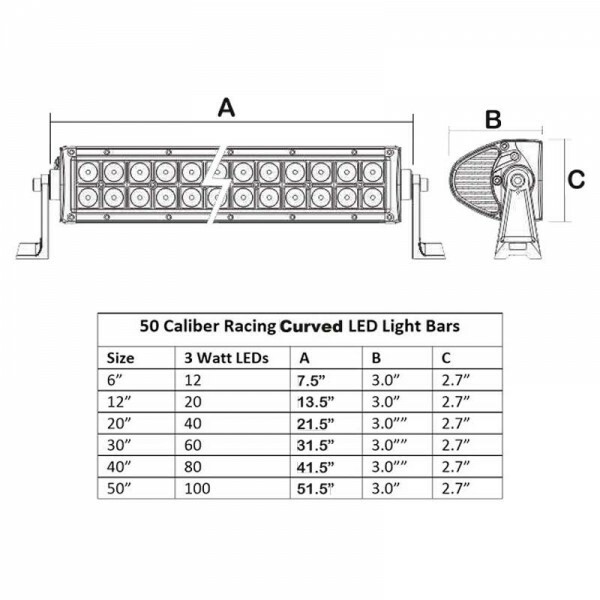 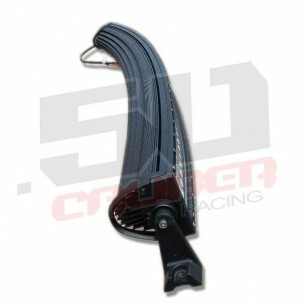 Our 50 Caliber Racing Curved (radius) LED light bars are super bright and top quality. 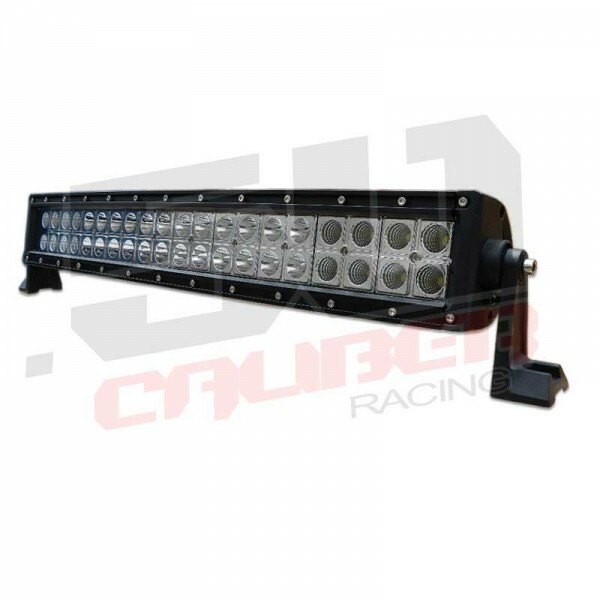 These light bars will withstand anything that you can throw at them: sand, desert heat, dirt, mud, monsoon rains, blizzard snow or any of mother nature's extreme fury. 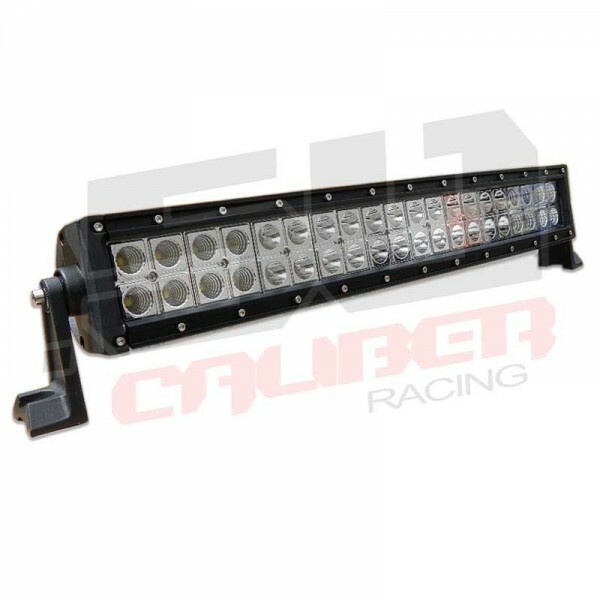 These 50 Caliber Racing radius light bars will let you see to get the job done and get home safely. 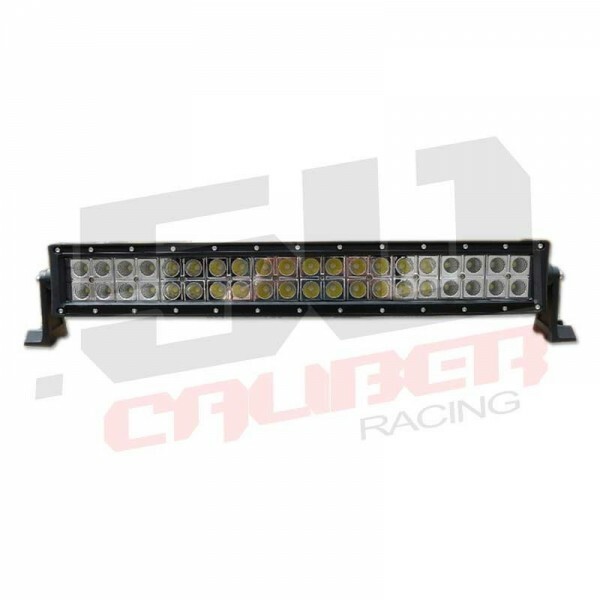 - Width between side mounts: 31.5"
- FREE 50 Caliber Koozie with Each light bar order!